I am fortunate to have a bedroom size sewing room in our basement. room so it does cut the size down a bit and so I do need to get creative with storing and organizing in the room. 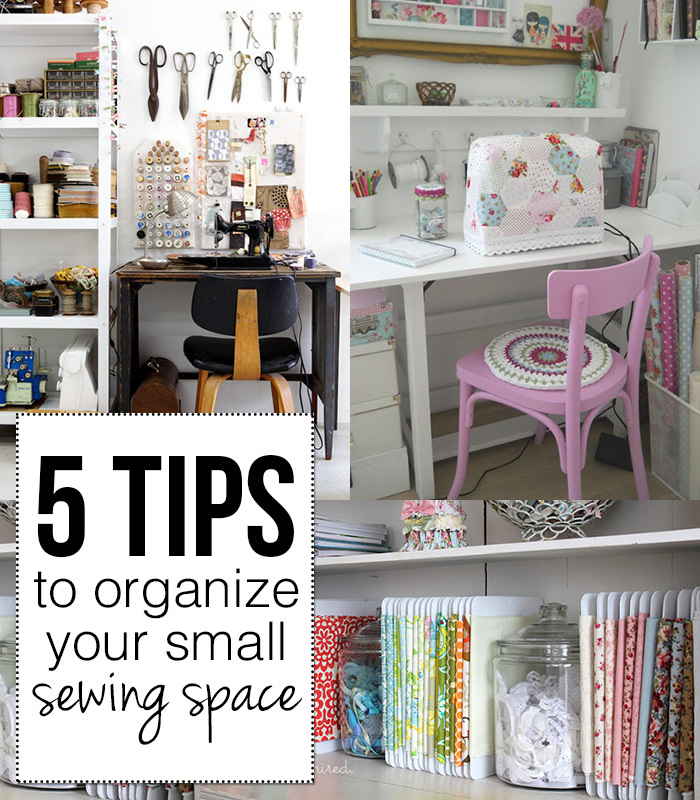 Andrea's Notebook has come up with 5 Tips to Organize your Small Sewing Space. My favourite tip that I need to employ is to use vertical space.